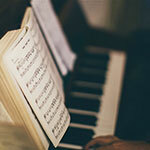 Fox River Bible Church is a church that sings traditional hymns. FRBC is one of those churches who teach grace. There are many grace churches in America. And many grace churches in the Midwest. What does this mean? These churches teach that salvation is “by grace through faith” as the Bible says. The Book of Ephesians says, “For by grace are ye saved through faith; and that not of yourselves: it is the gift of God: Not of works, lest any man should boast.” (Ephesians 2:8&9). Salvation from the penalty of sin today is “By grace through faith.” The Bible is very clear about this. If you live in the western suburbs of Chicagoland and are wondering “Where is a Grace church near me?” look no further. 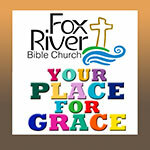 Fox River Bible Church is a grace church in South Elgin, IL. 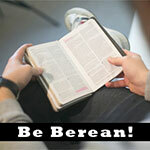 What is Berean? Berean is not a denomination. Fox River Bible Church is a non-denominational church in Chicagoland. When Fox River Bible Church says they are Berean, it refers to a verse from the Book of Acts. The Apostle Paul writes in Acts 17:10&11 “And the brethren immediately sent away Paul and Silas by night unto Berea: who coming thither went into the synagogue of the Jews. These (ie. the saints in Berea) were more noble than those in Thessalonica, in that they received the word with all readiness of mind, and searched the scriptures daily, whether those things were so.” In other words, the Bereans didn’t just take someone else’s word about what the Bible says. They searched it out for themselves. When a church says they are “Berean” that means they do not just take the Pastor’s word on it — They search it out (in the Bible) for themselves to make sure that they are learning the truth. They compare what the Pastor says with what the Bible says. FRBC is among many Berean churches in Illinois. There are many conservative Bible churches in Illinois and many Grace churches in Illinois, but most fall under the trap of Covenant Theology or Replacement Theology. They are guilty of not rightly diving the word of truth. They are guilty of not seeing the difference between the nation of Israel in the Bible and the Church the Body of Christ. Churches who rightly divide the word of truth are sadly rare today. Yet, churches that rightly divide are important. Covenant Theology: The general belief defined by Covenant Theology is that God has only had one people throughout the Bible (represented as Israel in the Old Testament and The Church in the New Testament). Many covenant theologians believe that God has not abandoned His promises to Israel that He made in the Old Testament, but that He fulfilled them in a spiritual sense through Jesus Christ in the New Testament. Covenant Theologians view the New Testament Church as a continuation of Israel. Some Covenant Theologians even believe that God will one day restore unregenerate Israel. Replacement Theology: The general belief defined by Replacement Theology is that God has had two distinct and different people in the Bible (Israel in the Old Testament and The Church in the New Testament). Replacement Theologians typically believe that Israel has fallen out of God’s favor, and that the New Testament Church has replaced Israel as God’s people. Replacement Theology is sometimes referred to as Supersessionism, with the belief that the New Covenant given to the New Testament church has superseded the Old Covenant (the Mosaic Covenant) given to Israel in the Old Testament. Dispensational Theology: The general belief defined by Dispensational Theology is that God has indeed had two distinct and different people in the Bible (Israel in the Old Testament and The Church in the New Testament). In contrast to Covenant Theology or Replacement Theology, Dispensationalists believe that Israel has currently fallen out of God’s favor, but will one day be restored to a glorious state. Dispensationalists believe that today God is building the church, The Body of Christ. 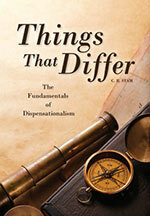 A Dispensational approach to Bible study is nothing new. There have been many influential men of God throughout the centuries who have labored in the Word to help clear the mud of religious confusion and bring to light God’s grace. Dispensation is a Bible word. In Apostle Paul’s epistle to the church in Colosse he wrote, “Whereof I am made a minister, according to the dispensation of God which is given to me for you, to fulfil the word of God;” (Colossians 1:25). See also 1 Cor. 9:17, Eph. 1:10, and Eph. 3:2. 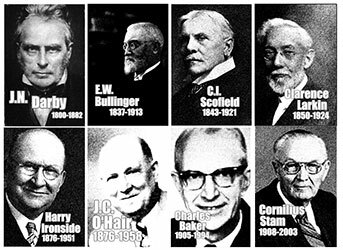 Thankfully, there are many dispensational Bible churches still around. Usually, people who take a Dispensational approach to understanding the Bible, may recognize or acknowledge anywhere from 2 to 12 distinct Dispensations. For example, Scofield recognized 7 different Dispensations in The Scolfield Reference Bible. While understanding and determining the various Dispensations correctly is important, it is more important to make sure that you are studying the Bible Dispensationally to begin with! 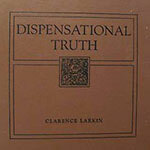 In 1918, one of America’s most well-known Bible teachers, Clarence Larkin, published a classic book called “Dispensational Truth or God’s Plan and Purpose in the Ages.” Larkin was a talented illustrator and his works are filled with well-drafted dispensational charts that help to understand the Bible. of studying the Bible that makes sense. When a church rightly divides the word of truth, it is easier to understand the Bible. When you rightly divide the word of truth properly, many appearing contradictions in the Bible vanish. If you live in the western suburbs of Chicagoland and are wondering “Where is a dispensational church near me?” — look no further. 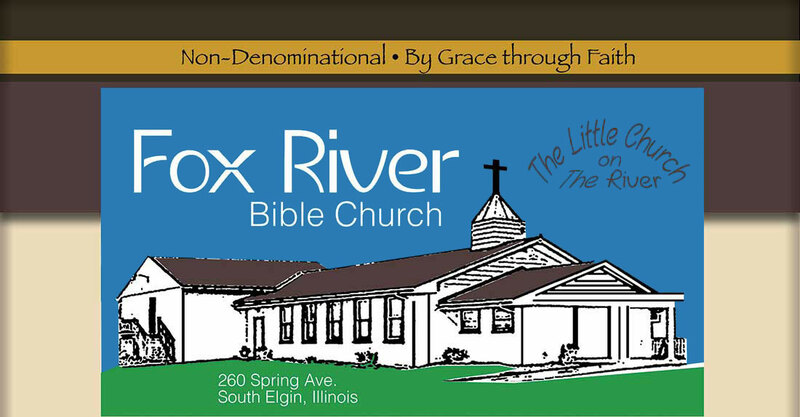 Fox River Bible Church is a dispensational church in South Elgin, IL.